Nassington continued their unbeaten run in Twenty/20 cricket by beating Uppingham by 47 runs in a delayed first round tie in the Stamford KO Shield last night (June 4). 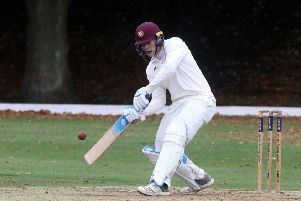 Highly-rated 15 year-old left-arm spinner Harrison Craig bagged 4-15 as Uppingham were dismissed for 87 in pursuit of Nassington’s 134-8, James Pope (4-9) also bowled beautifully. Pope (26) also batted well in support of top scoring Kiwi Ryan Duffy (34). Nassington now travel to Stamford Town in the quarter-finals on Monday (June 8). They also have a Stamford Charity Cup semi-final at home to Bourne (June 15) to look forward to as well as a Jaidka Cup semi-final at home to Ramsey (June 17).